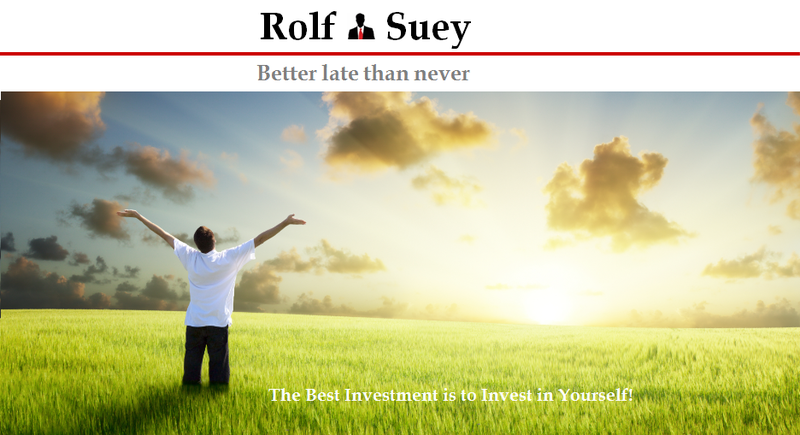 Rolf Suey - Better Late Than Never: Hazy Outlook Ahead – Cash as Hedge? Hazy Outlook Ahead – Cash as Hedge? In view of the Hazy outlook ahead, I am currently sitting with approx. 75% cash and 25% equity invested. The cash here is all my cash which includes rainy day cash expenses, while the investment excludes property, CPF, other insurance saving plans etc. If you are wondering did I suffer REALISED LOSSES after cashing out? The answer is YES! BUT, overall I am glad that I break-even in REALISED TRADES this year including dividends received so far! Having said that, I suffered PAPER LOSS OF 7-8% in my overall portfolio YTD. Of course, if you are a truly long term fundamental investors, the hoarding of large amount of cash does not make any sense. If you are already well-prepared for a crisis with all your rainy day expenses locked up, please go ahead to commit your balance resources in a sustainable manner over long term. Nonetheless do remember to at least have some cash to take advantage of unexpected plunge in the market. Staying 100% invested without diversification and rainy day expenses now is going to be kind of risky. Therefore what you are going to read as follows is for someone “Kiasi” (scare to die) like me, and still struggling to attain the “so-called” long term investor syndrome. Also, for someone like me, who face larger expenses coming from more mouths to feed and for someone like me who fear the losing of jobs for prolong period of time? Do not get me wrong. I vouch that by no means I am proselytize how pitiful I am having coming from a background with so many mouths to feed. I need no empathy for I know myself better than anyone else in this world - That I am very sure! It is just my way to remind of my own situation and be prudent in view of uncertainty ahead. Frankly, I love having many mouths to feed. My family/children are not dragging me down. On the contrary, they are my best impetus to strive ahead, and I boldly predict that they will be my best investments ever too! Given that I has not gone through several cycles in the market for decades to be able to stomach the losses and gains “emotionlessly”, I am not ready to classify myself as a 100% long term investor! Yet, a good way to propel my experiences, is to read as much as I could. The accelerated knowledge can then replace what I lack in decades of experiences in the market. The Haze is getting worse recently. I hate it, as it put a halt to my favorite outdoor activities such as swimming and jogging. If you are at home, then aircon is turned on for longer periods inevitably. It is not just that utility bills will swell, but it is also for the fact that I dislike staying in air-con environment for a long time. “On our National Day, just recently on the 9th of August, one Indonesian newspaper published an overview of the relationship between them and us. And they quoted a senior Indonesian politician what he said about the haze. He said, “I would only consider apologising for the haze if Singapore and Malaysia are thankful for the oxygen from Indonesian forests for 11 months each year”. This is another stark reminder of the need to know where you stand! Similarly, if I am to view the stock market today, the short term outlook ahead is equally “Hazy” and it seems that even IMF, US Fed, ECB or any governments are already running out of tools to fix the situation if it worsens. There are just too many uncertainties at the moment. China is slowing, emerging markets confronting recession, dubious interest rate hike, volatility in oil and commodity prices etc. As I read somewhere, the market will prefer to have a sustain bull or a bear for ease of planning, rather to have market volatility bleeding into the real economy without you knowing or getting ready. Is stocks really dirt cheap now? After the Black Monday on 24 Aug this year, which seen close to 20% wipeout of market cap in a single day, some investors are streaming “Leh Long, Leh Long” , Time to be greedy? I am cautious instead! Let us use Shiller CAPE ratio to illustrate if stocks are really cheap now. The Cyclically Adjusted Price-Earnings (CAPE) ratio also known as the Shiller Ratio or the P/E 10 ratio was developed by Dr. Robert Shiller (who won the Nobel Prize for his work on 10/14/2013) and Dr. John Campbell in a paper written in 1988 and can be traced to the principles of Graham. This Price earnings ratio is also based on average inflation-adjusted earnings from the previous 10 years. Shiller PE ratio for the S&P 500. As of Fri Sep 11, current Shiller PE Ratio is 24.86. It is not the most expensive, but it is also by no means cheap. In fact S&P 500 is on the high side now! Please also note that the US stocks already has a good run of 6 years or more now since the GFC. Is the bull run in US going to continue indefinitely? How about Straits Times Index? Currently STI is valued at PE ratio of ~12.99. Meanwhile, STI’s average PE ratio over the 37-year period stretching from 1973 to 2010 is 16.9. STI’s floor is during GFC with PE ratio of just 6, while ceiling is in 1973 when PE ratio hits 35. Not crazily expensive but not dirt cheap too! Ok, one certainty at least for Singaporeans is that PAP won again to provide continuity! And it is not just a victory, but a really convincing one at 69.86%. I “sort of” gathered that sentiments reflected in my last post. Refer here. The Harbinger – Prudent man prepares! 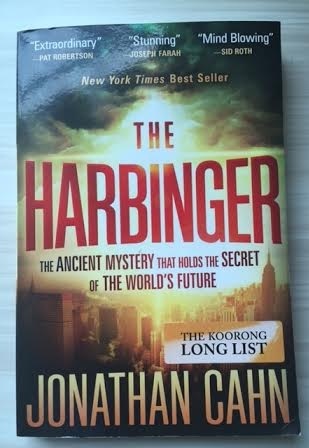 I just finished reading the book “The Harbinger” by author/pastor John Cahn. I am not a Christian and this book was a birthday gift from my former boss who is a staunch Christian. To get an idea about the 9 Harbingers, refer to a 2012 interview on Glenn Beck TV here. The ancient mystery, according to Cahn, explains everything from the September 11 attacks to the financial collapse of 2008 and beyond. The author posits that God is sending the U.S. a “prophetic message” of what is yet to come, just as he did once in ancient Israel. Thus, according to the book, these same “Nine Harbingers” are now manifesting themselves here on U.S. soil. Cahn mentioned the date of the crash will be on 13 Sep 2015! For information sake, you can refer to Youtube Part 1 and Part 2. I have no crystal ball and is sceptical on the Crash Date of 13 Sep 2015, which apparently is today or tomorrow when stock markets are concern. Meanwhile, please please please do not let your imagination run wild! The main point for me in the 9 Harbinger is not market crash. So its obvious I cannot control the Haze, neither is PAP for now. 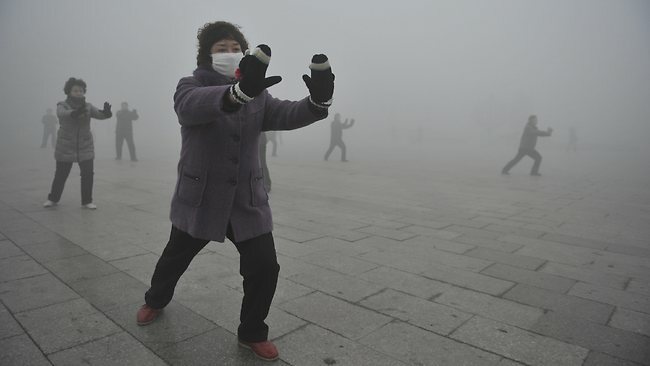 But what I can do it is to get ready my N95 masks in case PSI conditions worsen over a prolonged period. Otherwise stay indoors, switches on air-cons more often but that will mean more expenses though. As such, I shall be more careful on my expenses. And maybe I should pray more often for rain or wind to blow in other direction. Likewise, I am unable to foretell which direction the stock market will trend in the short term. But what I am going to do now, in view of the current volatility, is to sit on more cash. This is at least something I can control and can do now, to prepare for the worst, if it really turn worse. If not worse, I am also happy and probably can wait till the market is less volatile. How long is the wait? I am not sure! I am more comfortable to diversify my allocation to put more resources into cash. Ignore the percentage of cash/equity 70-30, 40-60, 50-50, 40-60 etc. It all depends on each individual. Do not get mistaken with figures! This is because you are not me, and you do not really know how much is my expenses or if I may have other investments, and how much they cost for me – property, other life-saving plans, CPF etc. Know where you stand now and what is most comfortable for you in your allocation of resources. Earlier I read a book by Norman Vincent Peale about being Positive thinking. Refer to book review I did here and here. The most worrying thing about doing a book review is that readers will start thinking that I am 100% in favor of the author of the book. The objective of my book review is for the sake of sharing. To be honest its primary objective is not even meant for public readers! Sorry guys, I love your comments flowing in...! In the main, it was meant to be a platform, so that I can discuss with my kids in a easier and portable manner. Even before and after reading the book, I am absolutely in favor that positive thinking does not create positive events happening in our life! It is the action that is needed. It is pretty clear for me. Nevertheless being positive can put me in the right frame of mind, so that my actions can be more constructive when I experiences difficult times in my life. That applies to me. If it is not working for you, I sincerely respect you. People who truly know me in real life, knows that I never complain about my humble past, and hate to brag about any achievements (if any few ones) as well. Ok...I love to share and that invites unnecessary perceptions/comments. But this is something I can do little about. Be positive and prudent, learn from the past, while focus on the present and the future! The number of statistical points are still small in the whole scheme of things. Perhaps focus on the company's business rather than the wider economic outlook? The latter can seem depressing and yet the company will still thrive. Consider the Thai stock market as an extremity - despite coups after coups, the stock market still thrives. I agree with u.. but If I am not working in the O&G industry and with lesser mouths to feed, maybe I will be already busy scooping many temporary fallen angels. To be honest, just to explain and not at all to "blow cow skin", I am still heavily invested (for my standard) in absolute terms if ignore the percentage! I also mentioned it excludes other asset classes of investment eg property, CPF etc. So overall I may be even more highly invested when you calculate in terms of %. Also now that prices are slight more reasonable, the cashing out is also my way to take some of my profits to offset the losses, so that I can re-organize and rebalance my portfolio once and for all, if opportunity arises. My approach relates more to myself as I am very clear what I am doing and I feel comfortable. More importantly I knew deep down that my "green" investment and emotional management skills is still continuously improving as time advances! End of the day, I know am still not as good as so many of the guys out there. Such as many already emulating the likes of WB and many classic investors of Buy and Hold with no emotions attached, and ignoring the noises of the Market. Which is absolutely the right way of investing. I am sure I will become a true "Buy and Hold" investor soon, but maybe not now yet. Does Long Term Investing Always Work?